Happy Thursday! August is coming to a close way sooner than expected as I now realize that my exhibition is only 2 weeks away 😐 Busy, busy…but here I have my last review as a Beautizen to share with everyone! 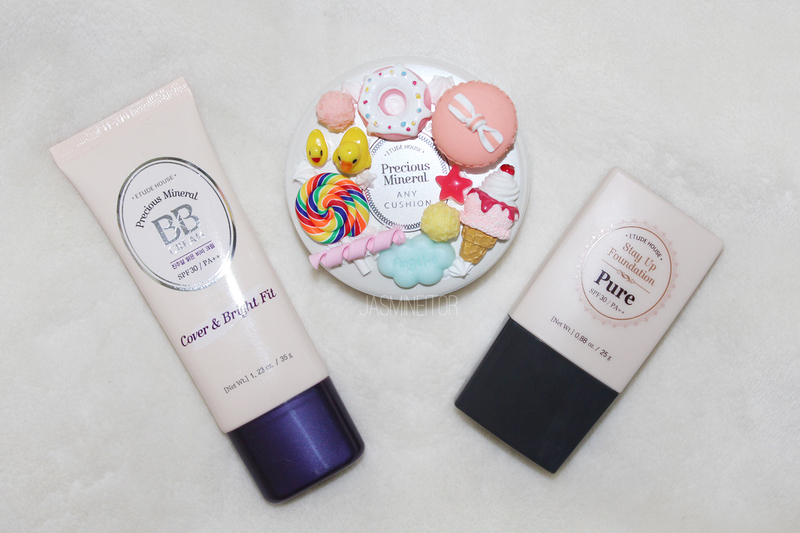 I was requested by Etude House to review the new Precious Mineral BB Cream, but as one of my followers had requested that I review the Precious Mineral Any Cushion, I decided to do a 3 for 1 and review all of the Etude House foundation-type products I own! Some of you might recognize the cushion from my decoden review which can be read here! I will be reviewing all products using the shortened forms of their names, as BB Cream, Foundation, and Cushion. 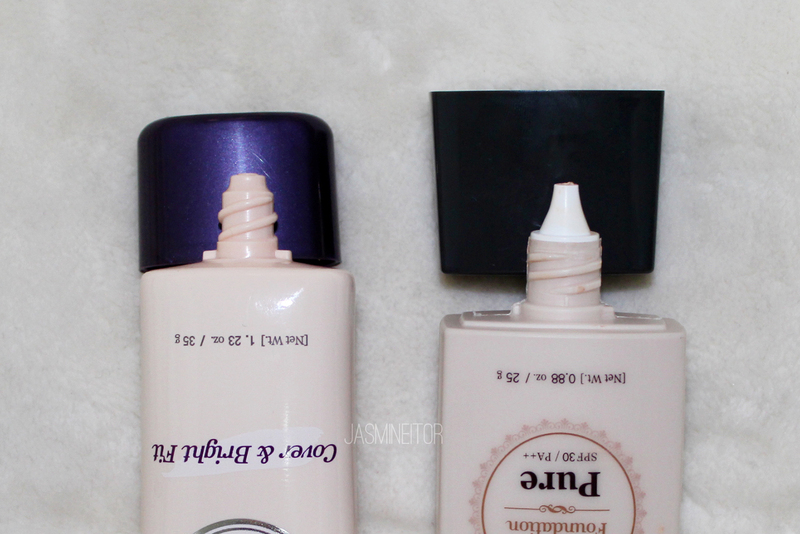 Next is the foundation, which as you can see comes in more shades than the BB Cream. The shades are, from left to right, Pure (my shade), Rosy, Ivory, Beige, and Sand. In Western brands I’m always Ivory, but apparently in Korea I am “pure”, haha. The colours range in very light colours to slightly darker colours (but again, nothing for people beyond a mildly tan skin tone) and vary between olive bases and pink bases. 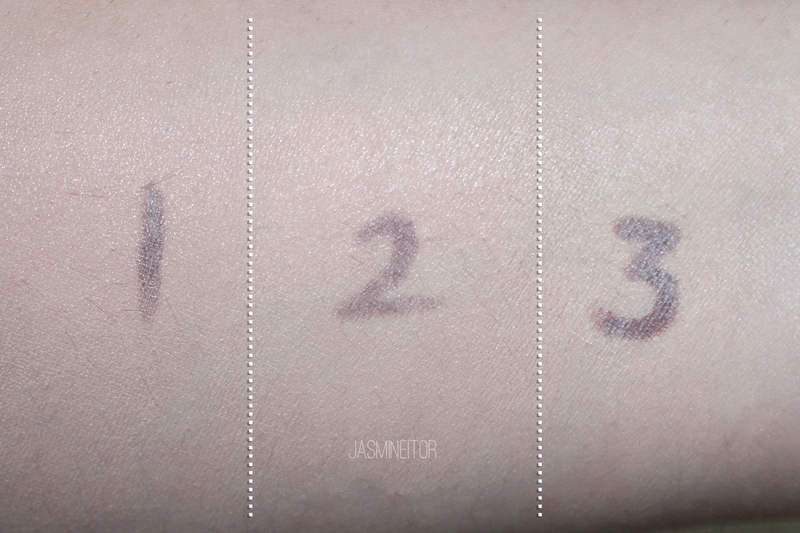 The differences are very subtle, so it took me over 15mins of swatching to decide which tone matched my skin best! In Western brands I always just go for the lightest shade of any line, but I find that in Korea it’s a little more complicated. There are usually two tones of light shades, as you can see here in “Light Beige” and “Rosy Beige”, which vary in their olive/pink undertones. The colour I picked was Rosy Beige, the 2nd colour from the left. After this is Natural Beige, and then Honey Beige. I would say this product line also runs on the lighter side of the skin spectrum, like the BB cream. As you can see, both products are the type that you squeeze the bottle to release the product. This can be then applied with your preferred method of application. The BB Cream bottle is very soft and feels full of product so you barely have to press to get any out, whereas the foundation has to be shaken downwards and pressed quite hardly. The cushion can’t really be compared with the other two because the method of application is completely different. As you can see, the sponge is quite porous so when using the included sponge, you are able to get a more even application when patting it on your skin. 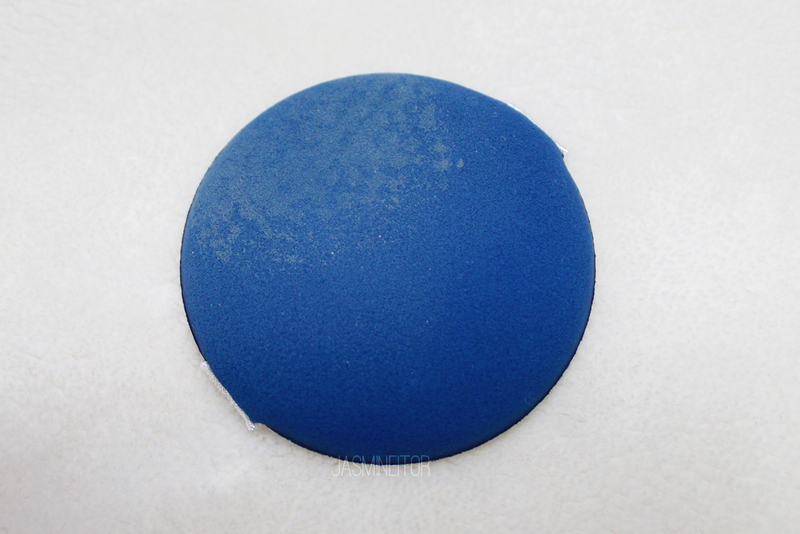 By just pressing lightly on the sponge with the applicator you are able to see the porousness of the sponge. I feel that it was made like this in order to assure a more even application as the foundation comes out more evenly through the pores in the sponge than it would in a more solid sponge. Out of the 3 I definitely prefer the application method of the cushion. It’s something that can be done on the run, as the case has a mirror and the sponge is stored in the case. I find foundation and BB Cream more of a pain to reapply once I leave my house, so the cushion is strongest here! I probably applied the 3 swatches in different amounts, so more than coverage this first photo is more about the colour of the products. 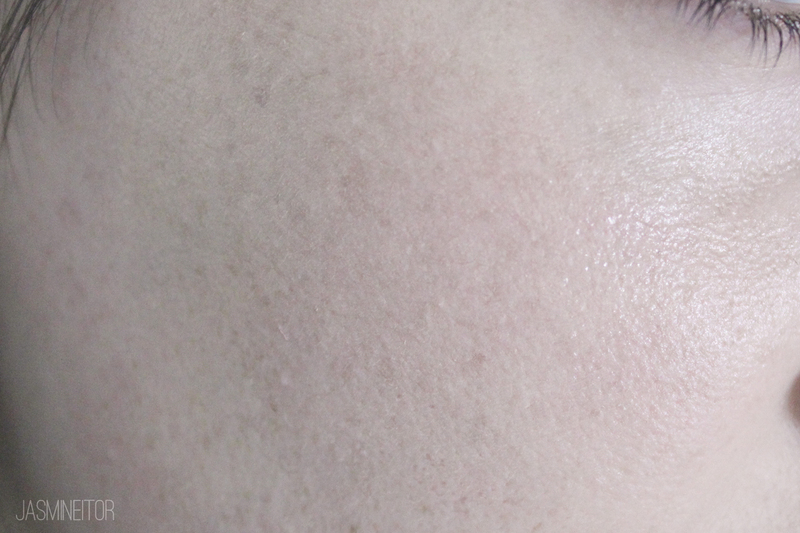 The BB Cream and Cushion seem to have the most pink undertones, and match each other almost perfectly. The foundation has a slightly more sandy tone to it. 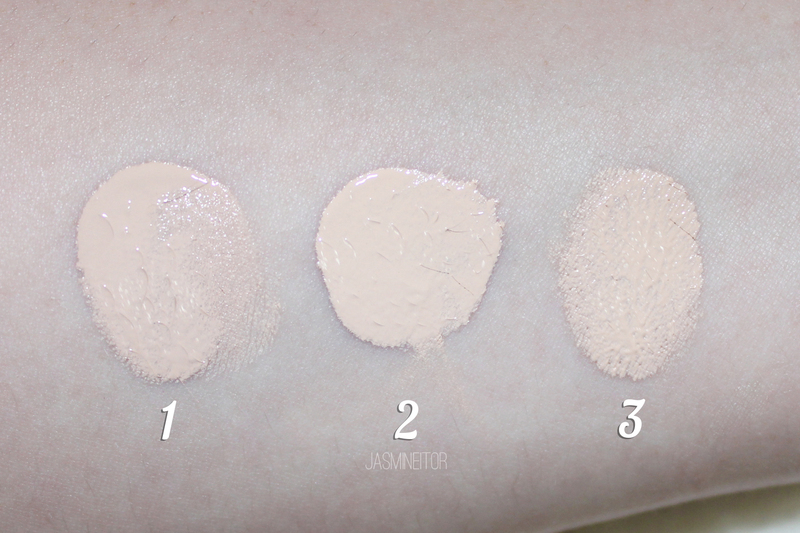 When blended out, I find the cushion blends the most naturally with the skin, with the foundation having the most clashing tone as seen in the previous swatch. However, having said that, I find all 3 to match and blend into my skin tone quite naturally! 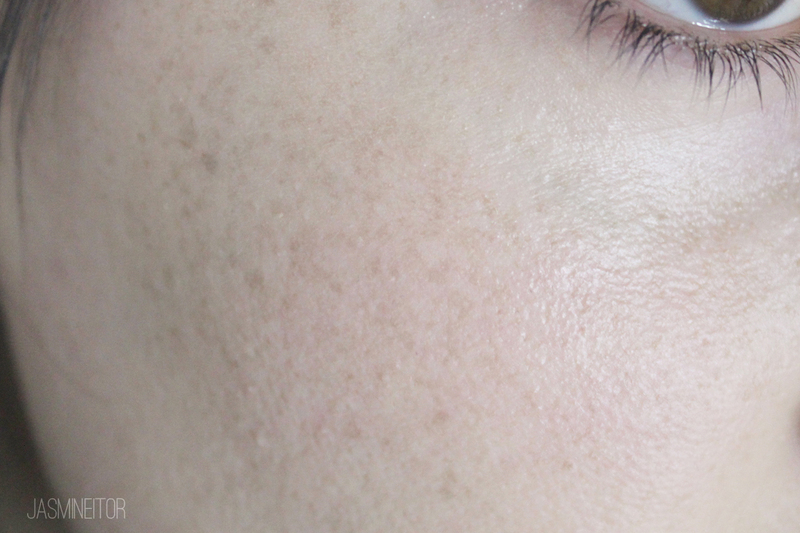 With two layers you can see that the BB Cream actually has the strongest coverage out of the three! I had hoped that would be true, as one of the supposed “new features” of this revamped product is that it offers impeccable coverage. 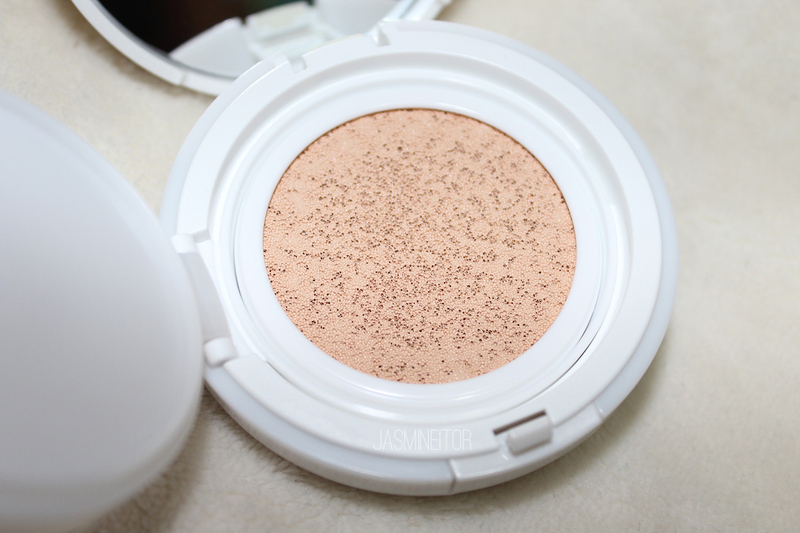 Again, the cushion has the weakest coverage, but in my opinion the most even. The foundation is slightly inclined to slipping and thus I found it hard to cover the number evenly. And now the moment of truth! Skin application! 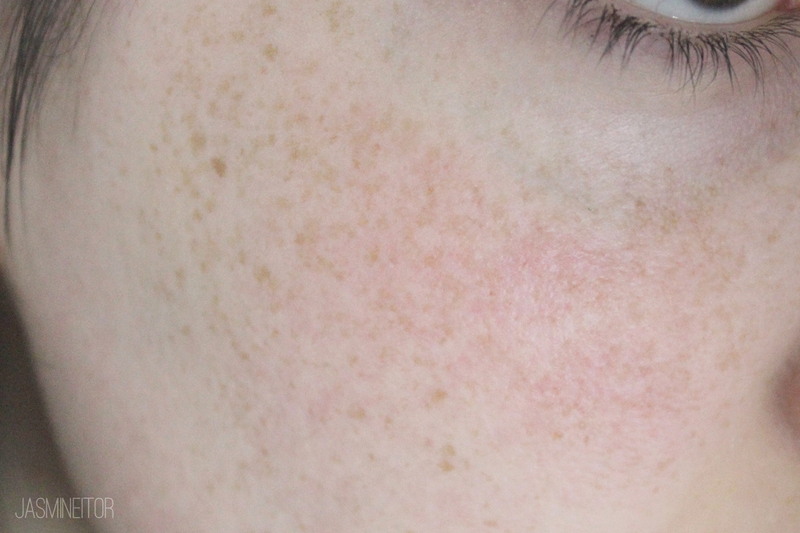 I was asked to draw freckles on my face to prove the coverage power of the BB Cream but as I am already mega freckly from my trip to Busan, I didn’t think it was necessary 🙂 Despite not having pimples or enlarged pores at the moment (thank you, Wonder Pore), I have a lot of redness on my skin, so we will see which of the 3 products covers this best! First we have the BB Cream! VERY impressive coverage. It glides over the skin very easily and covers my pores thoroughly. Even coverage! I generally don’t put makeup on my full face unless I need to be in front of a camera, so this product felt a lot more heavy than I’m used to. 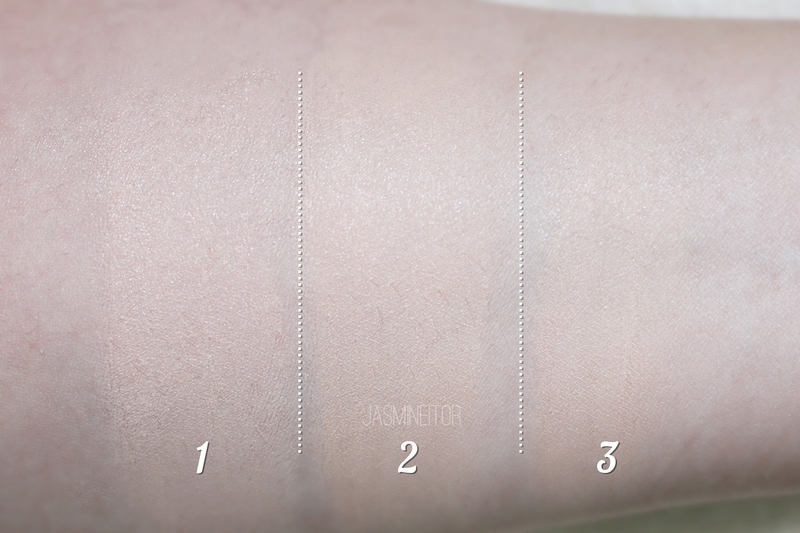 Like most BB Creams, it has a slight gray cast and shiny finish, which can be corrected easily with setting powder. Next is the foundation! No gray cast here, but the coverage isn’t as opaque as the BB Cream. 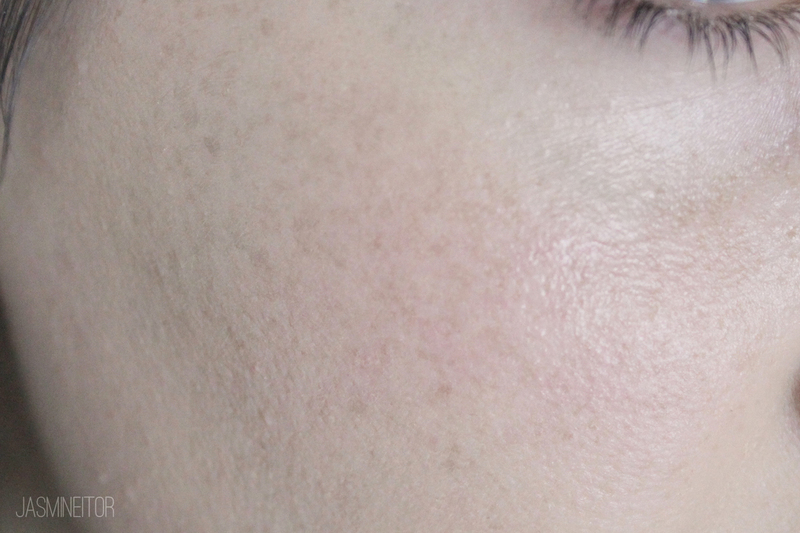 As you can see, some redness and imperfections get through despite applying a similar amount of product as the BB Cream. The more you spread it out, the patchier I find it gets, so I recommend having a slightly heavier hand with this one if you want full coverage. Not as shiny as the BB Cream, but cracks and bunches up on oily sections of the skin throughout the day, so definitely a minus here 🙁 My skin also felt slightly itchy after this one, but that happens to me with a lot of products when I go full face application so I didn’t find it to be a huge negative. Last but not least is the cushion. 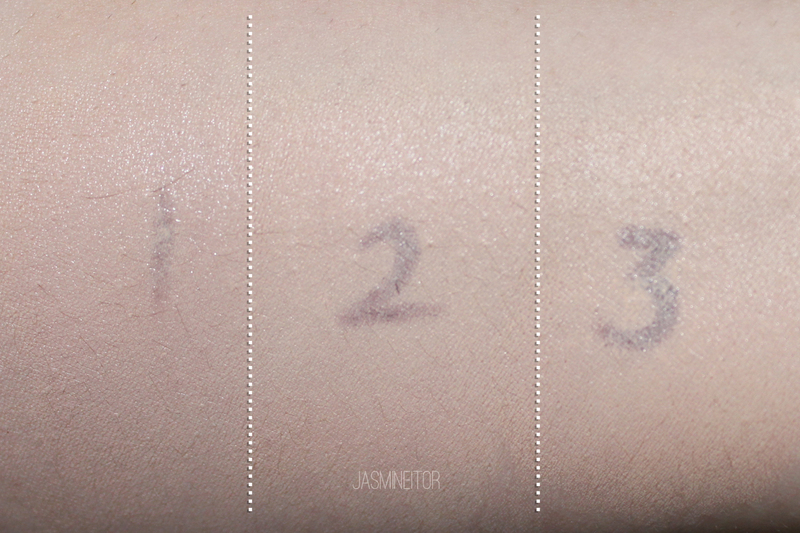 As it was in the previous swatches, this product has the least coverage of the three. However, I find that it covered my redness better than the foundation. Goes on very smoothly with a light, airy finish. Feels like I’m not wearing any makeup! It’s also buildable if you want a more full coverage effect. Coverage conclusion? The BB Cream wins! It covers everything solidly even with a thin layer. The cushion has the least coverage, but is still my personal favourite. AMAZING coverage on this product, but as I personally am not a huge fan of BB Creams because of their oily texture and gray cast, I can’t give this product a really high rating. However, if you’re a fan of BB Cream, this is a must buy for great coverage and a nice, moisturizing texture! It didn’t cling to any dry spots at all and went on very smoothly. Looks great with a finishing powder! I loooooove this! Definite repurchase! It feels so light and non-sticky on my skin which is important for someone like me who doesn’t like to wear makeup on their full face. It covers the pores flawlessly and is easy to reapply throughout the day. While being a little bit pricey, I like that once you own a case (approx. 8,000 KRW) you just have to buy refills which run cheaper than repurchasing the full product with the case. This also means you can get cute custom cases, something that Etude likes to release often!